Hooray! It's time for Monday Made It! 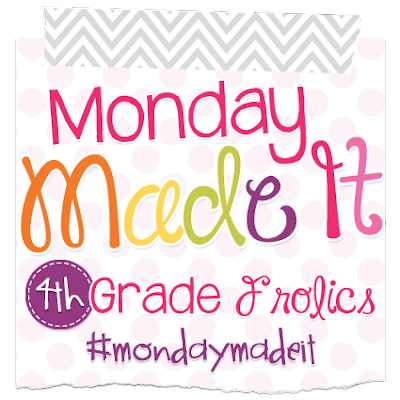 I'm excited to link up with Tara from 4th Grade Frolics for one of my favorite linky parties. I have two Made Its that I would like to share with you today. 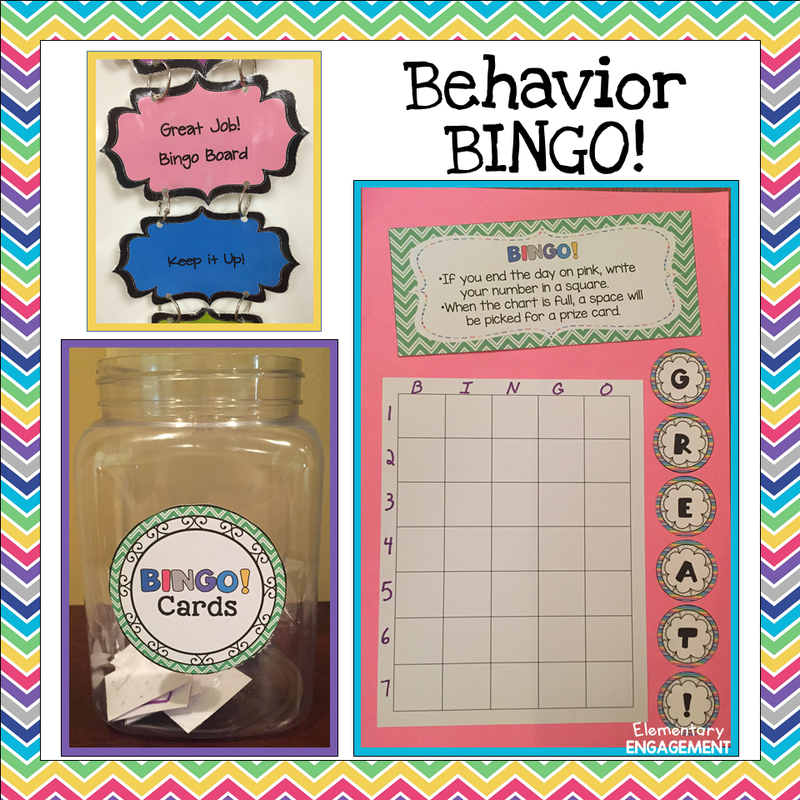 I went searching on Pinterest to find some fun activities for calendar time with my second graders next year. One of the pins I came across inspired me to make my first Made It. Here is the pin. It is from Jessica at Tales of a Teacherista. I like the idea of hanging this on the board for calendar time, so I attached ribbon to mine. However, I can also see using it for small group work, one on one help, and partner activities. Here is my version of this activity. I laminated both of the printables. A dry erase marker works perfectly for writing the amount of money. I initially used magnet tape to attach the coins. However, they were a bit too heavy and kept falling off. 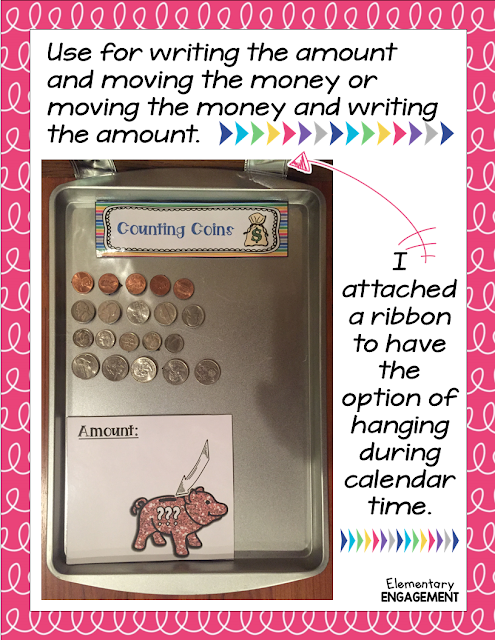 I ended up getting out the hot glue gun to secure the coins to the magnets. 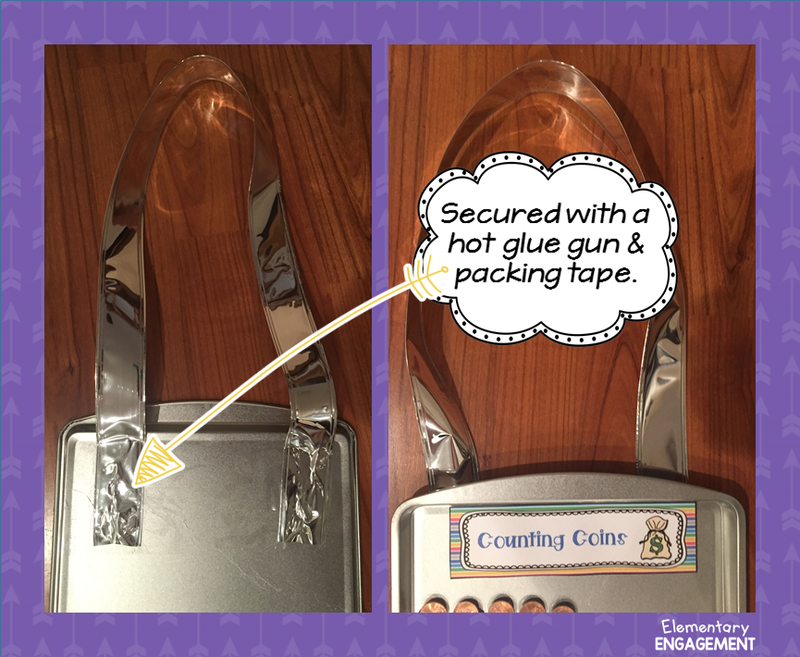 I also glued the ribbon to the cooking sheet and used packaging tape for extra security. I got the cookie sheet at the Dollar Store and the ribbon at Jo Ann Fabrics. If you would like the printables I used, you can get them here. Next up is the Behavior BINGO game I made. I blogged about this last week. You can read that post here. Basically, when students reach pink on the clip chart, they may write their number on the BINGO board. Once the board is full, the class helper will pick a number. The winner may choose one of the prize card rewards. You can download the printables I used to make this game here. I have many more items on my to do list. I am looking forward to sharing more in upcoming weeks. I can't wait to check out all the other Made Its. 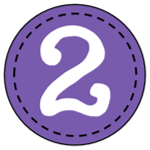 Thank you, Tara for hosting this fun linky! Ok that cookie sheet idea for using coins during calendar is seriously amazing! Much better than my poster board with velcro dots! 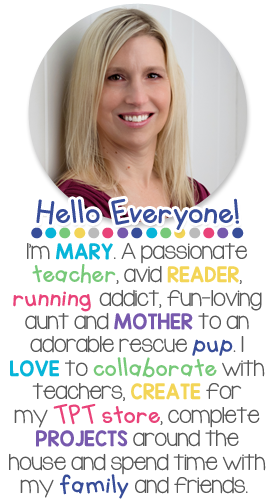 LOVE your new blog layout, Mary! I'm just zooming around and clicking everything. See....THIS is what happens when I take a hiatus from blogging! I'll probably have a billion questions this summer! I love your money board for calendar time! So cute!